Check this Micro Jammer Rig from Huffy Glass in Lemon Drop yellow. Perfect size for the home or travel. 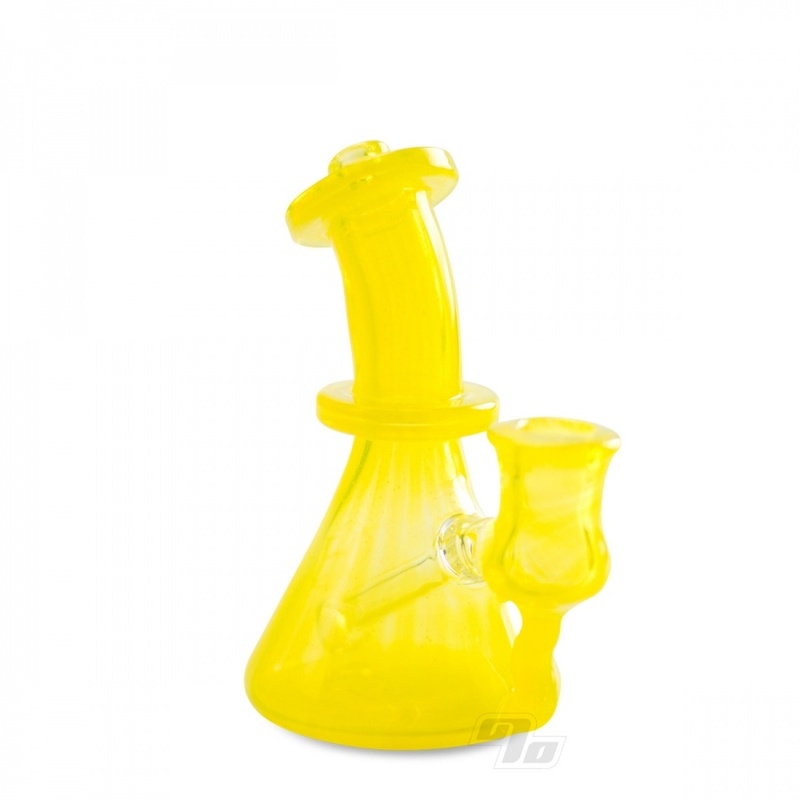 Brilliant yellow glass with an understated sandblasted Huffy Glass logo on the back. 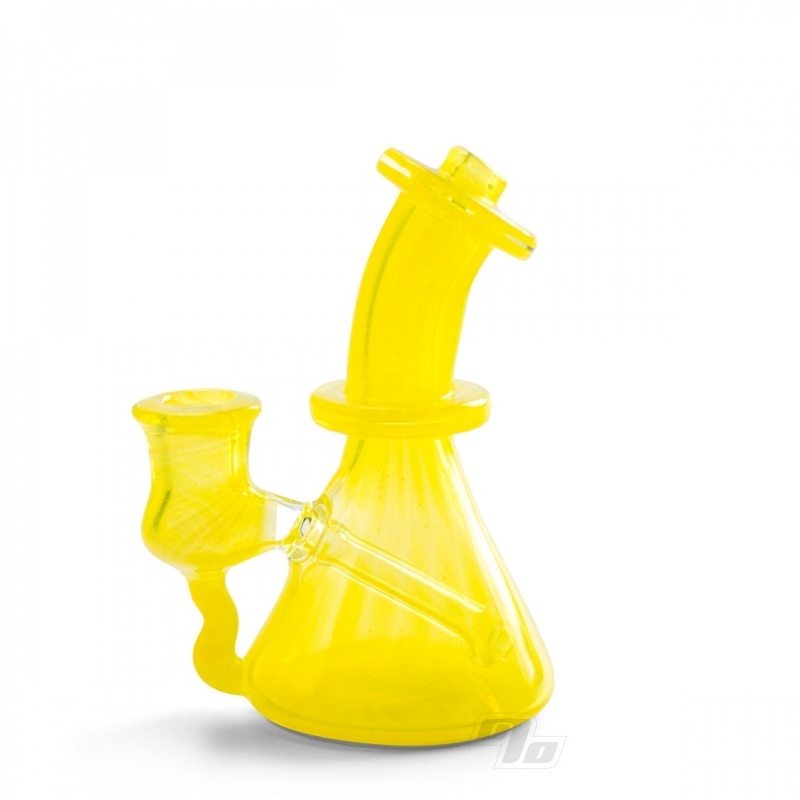 Stands 5 inches tall and flares out to a diameter of about 2.75" at the base. 14mm Female joint for your 14mm male banger or slide.